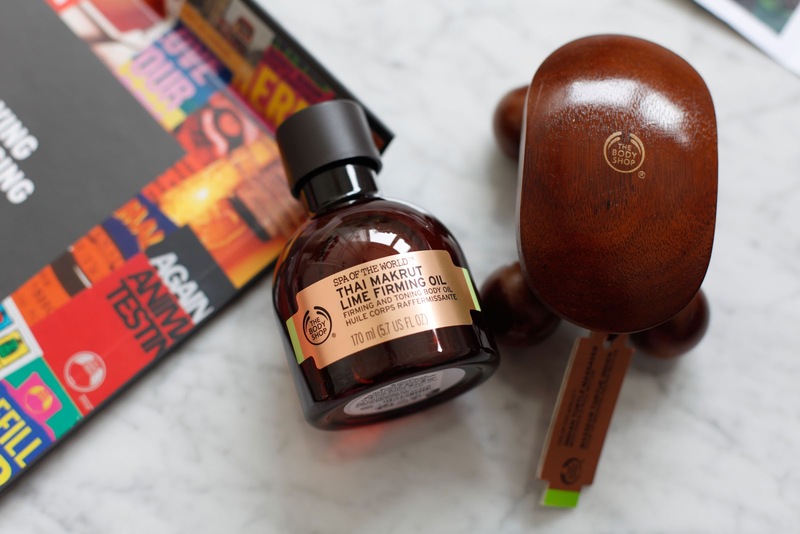 On the 18th of July The Body Shop launched their new collection to balance body and mind. The new Firming Ritual infused with a blend of fruit extracts to empower skin, body and mind with a three-step firming spa ritual. 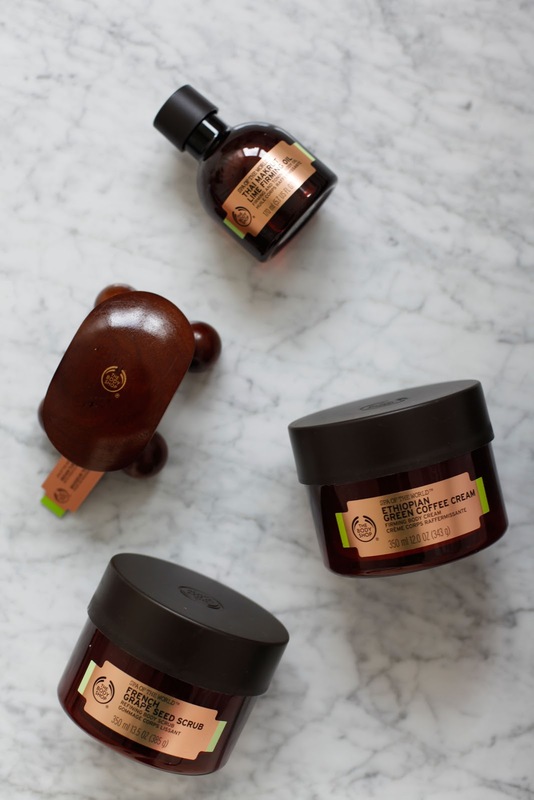 There are 4 new products in the Firming Ritual collection and I’ve been trying them out for the past couple of weeks. Grape seeds are prized for their high polyphenol content, this is an antioxidant that is known to help firm the skin and it’s one of the main ingredients in this exfoliating body scrub. French Grape Seed Scrub infused with grape seed powder from France and Community Trade organic sugar from Paraguay to exfoliate and refine the skin. This product is my favourite, it really does work, you can see the result right after the ritual. Skin feels smoother and softer. After using this scrub you might not feel like using body cream at all, because it is so moisturised and nourished. 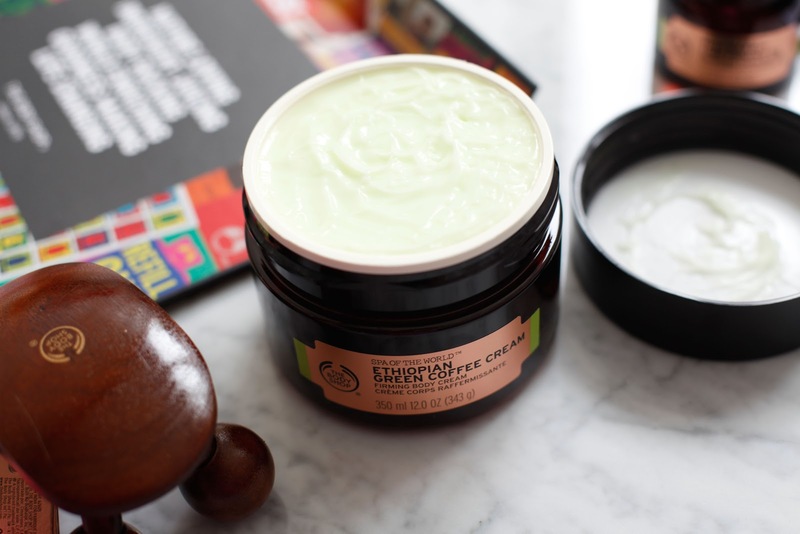 I’m a big fan of The Body Shop Body Butters and this one is perfect for summer. Ethiopian Green Coffee Cream has slightly different texture, it feels light and not greasy at all. Enriched with high-in-caffeine organic Ethiopian green coffee and Community Trade olive oil from Italy to help skin feel firmer and smoother. Soybean Oil and Grapeseed Oil are the main ingredients of the new Thai Makrut Lime Firming Oil. Grapeseed Oil really helps to firm your skin and with marula oil it nourishes the skin too. I use it with Indian Turtle Massager to stimulate blood flow on problems areas. 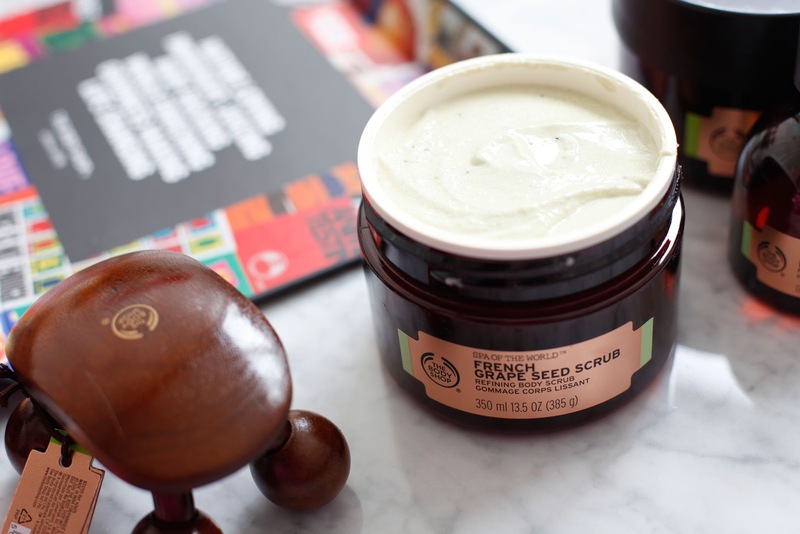 I really love all of these four new Firming Ritual products from The Body Shop Spa Of The World collection, but my favourite, as I mention before, is French Grape Seed Scrub. Have you tried any of these products yet?